In Mark, the two members of Type A utilize their bodies to create drawings by establishing a difference, a common ground, and opposing territories. 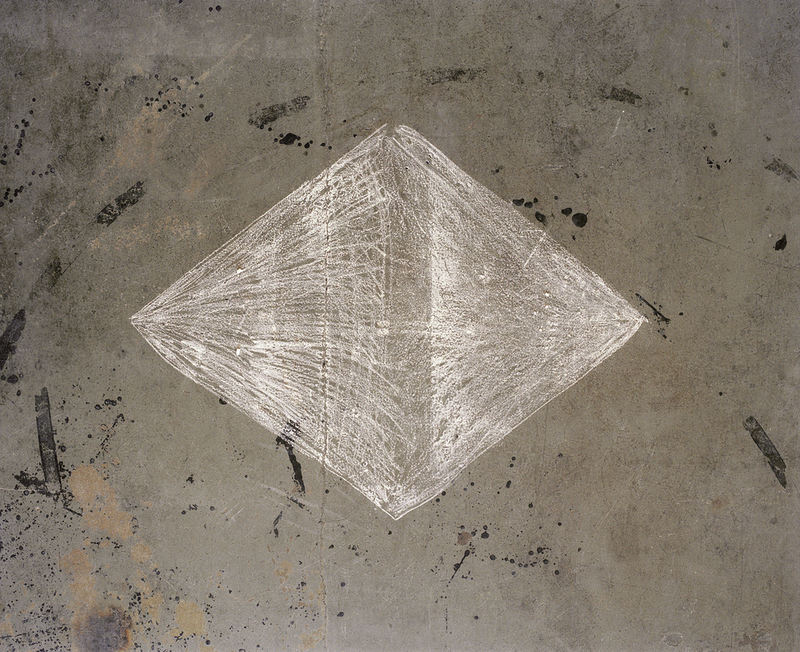 Shot overhead, Mark consists of three video segments depicting the two members of Type A using chalk to delineate first a personal territory, then a shared territory, and finally the territory of the screen itself. The first segment, consisting of each member drawing a circle based on his height, begins as a way to mark the difference in bodily dimension. Once the process is repeated, the disparity between the original markings, and consequently the significance of each member’s individuality, becomes blurred. The second segment has each member filling in the shared space between them with chalk marks, creating a form that represents a process that is cooperative from the start. In the third segment, the floor is completely filled with chalk, taking over the entire territory of the medium.In each instance, the territories are washed clean in the end. These primal, child-like activities allow Type A to compete while working together to create.